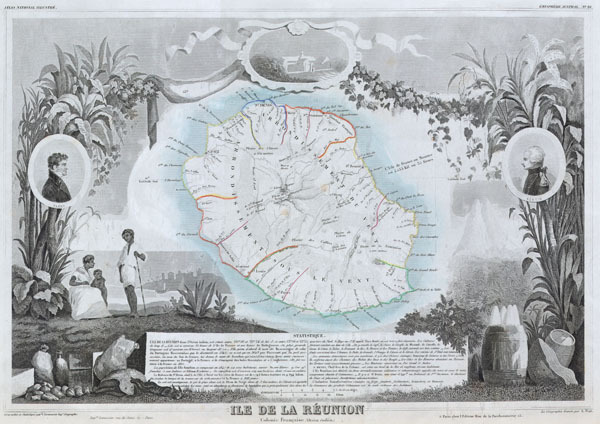 This is a fascinating 1850 map of the French island colony of Reunion in the Indian Ocean, off the coast of Madagascar. Depicts the island in moderate detail with both political and geographical indications. The whole is surrounded by elaborate decorative engravings designed to illustrate both the natural beauty and trade richness of the island. There is a short textual history of the island included at the bottom of the map. Today the beautiful Island of Reunion is a popular tourist destination.